by Butterbot Posted 13th Oct 2016 at 4:42 AM - Updated 18th Mar 2018 at 11:31 PM by Butterbot : Updated file. This is a conversion of the Always Waiting Waiter Station from the TS4 Dine Out gamepack. 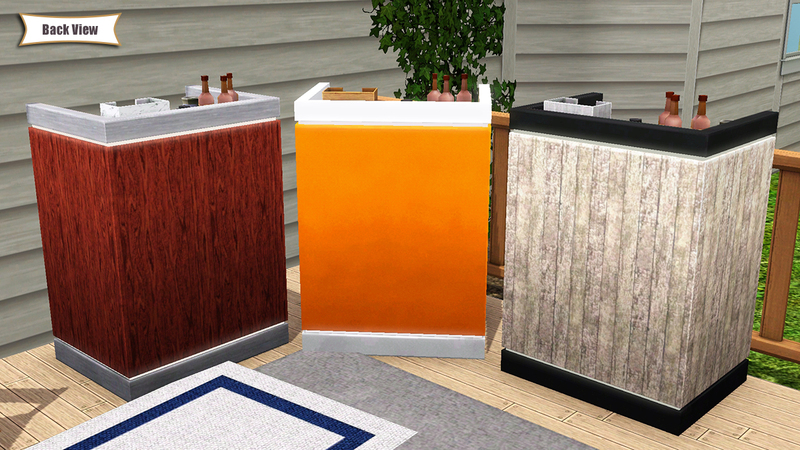 It functions as a cabinet with five decorative slots (these slots are routable--sims will autonomously place items in them and be able to retrieve items from them). 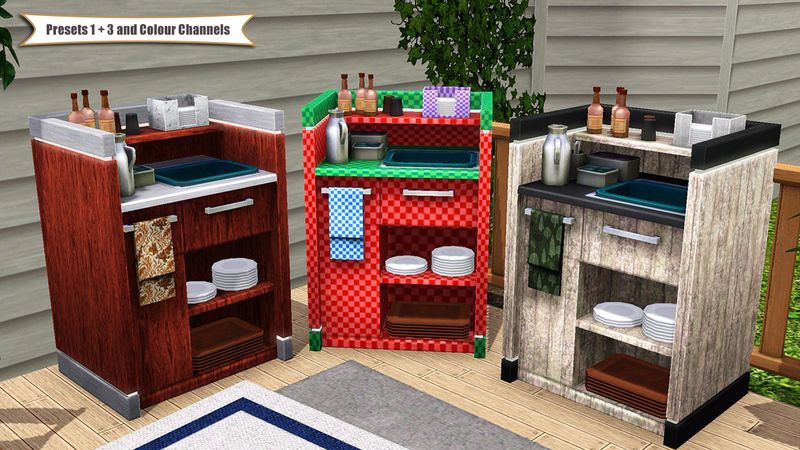 Some modifications have been made to the mesh for better scaling into TS3 and to accommodate the slots. There are three presets and four recolourable channels. 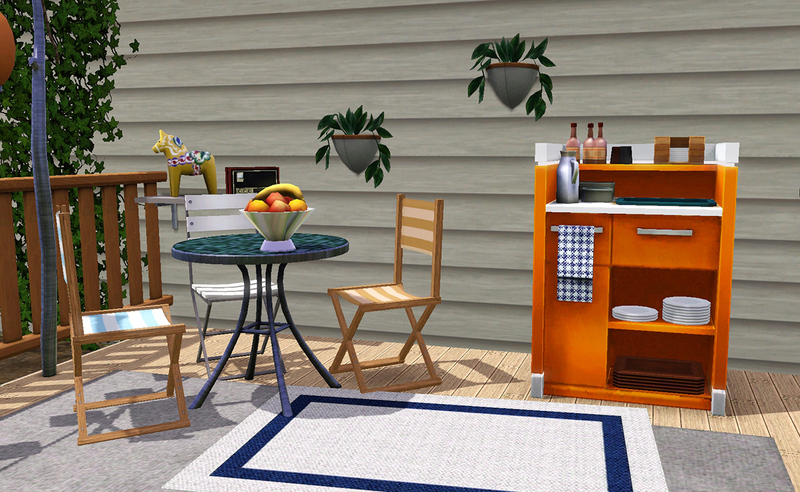 It is found under Sort by Function -> Surfaces -> Cabinets, and priced at 125 simoleons. 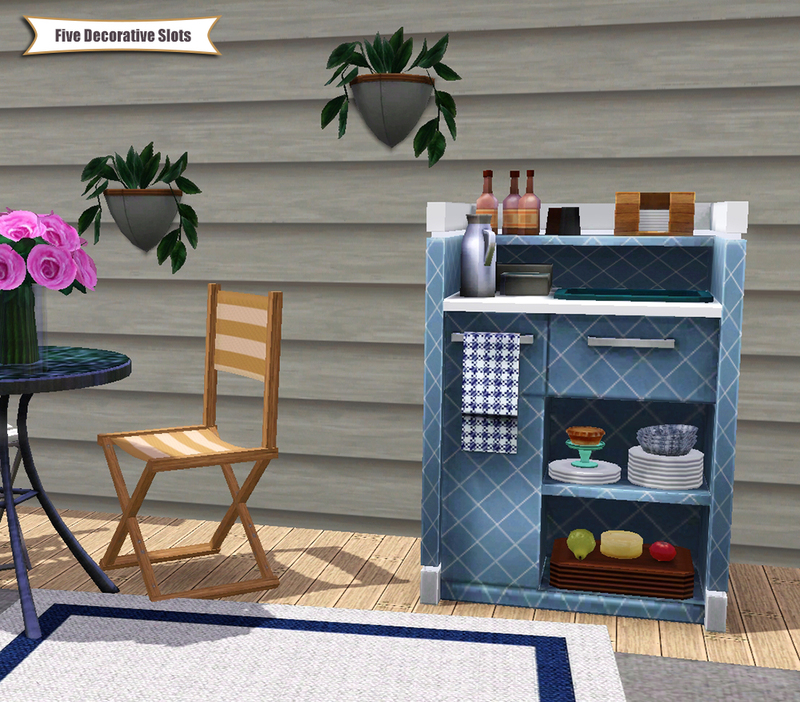 The Waiter Station Cabinet occupies a single tile, but is slightly wider and deeper than a typical one-tile TS3 object. When placed against a wall, some minor clipping might occur. Pressing Alt during placement should allow it to be positioned in such a way as to avoid clipping. 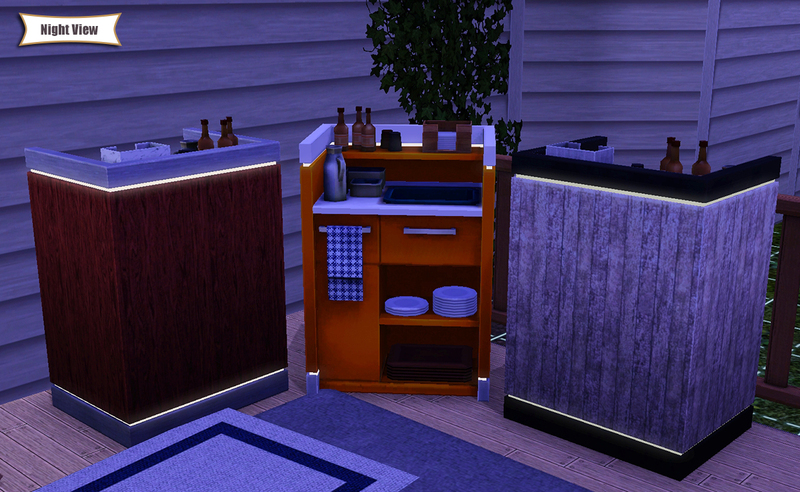 When the Waiter Station Cabinet is not placed against a wall, sims will sometimes approach from its back to reach objects placed in the decorative slots, clipping through part of the cabinet. This is due to the way routing to surfaces is implemented by EA--it does not appear to include a way to dictate a directional approach (there is seemingly no support for routing slots). Similar behaviour is seen in EA's own objects, such as the alchemy potion display case from the Supernatural EP. If the display is not placed against a wall and a sim is made to retrieve a potion from one of the shelves, the sim will approach the back of the display and clip through it to grab the potion.